It’s never been more convenient to make a donation in Metro Atlanta. 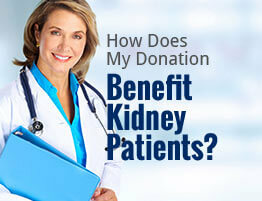 American Kidney Services (AKS) is a local charity that offers many easy, hassle-free ways for you to contribute to our charitable organization. In addition to offering free donation pickup service at your home or office and a variety of donation drop off locations, we’re also proud to accept a wide variety of used items as donations. Call 770-609-2200 or fill out our online form to add your contact information to our regular donation free pickup list for standard weekday pickups. Expedited pickups and special Saturday pickups are also available upon request. A representative from AKS will contact you when a donation collection is being scheduled in your neighborhood. At this time, you can ask questions about the items we accept, size limits, and the tax deduction* process. Pack the items you wish to donate in bags or boxes labeled with “AKS.” On the evening before your scheduled pickup, place your donations outside in a clean, dry place where they will be visible from the road. You can also make a donation to our non profit organization in Metro Atlanta by dropping off your tax-deductible* donations at any Value Village thrift department store, at our AKS storefront donation center in Atlanta, or at one of the hundreds of AKS donation drop boxes that are available throughout the area. Click here to find the drop off location nearest you, or contact us for more information.